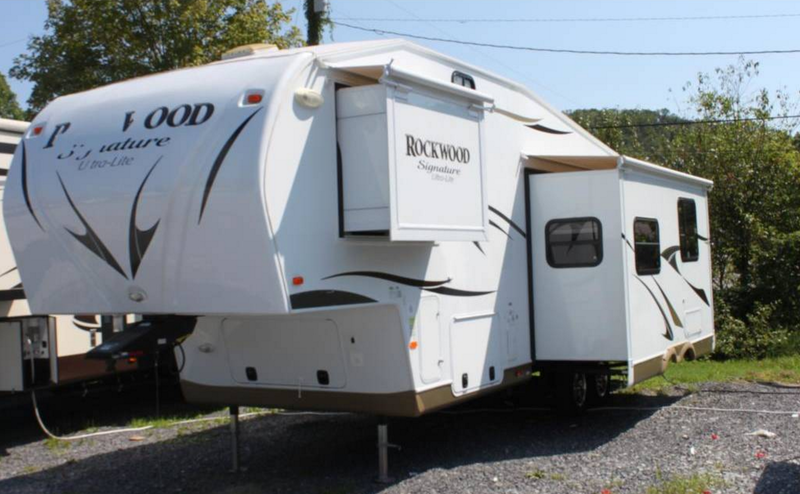 This towable sleeps 8 people, is 2.58 feet long, and is a Fifth Wheel. 31 foot fifth wheel. It's like having an apartment in the woods. Bunk beds for the kids with their own half bath. Two slides.